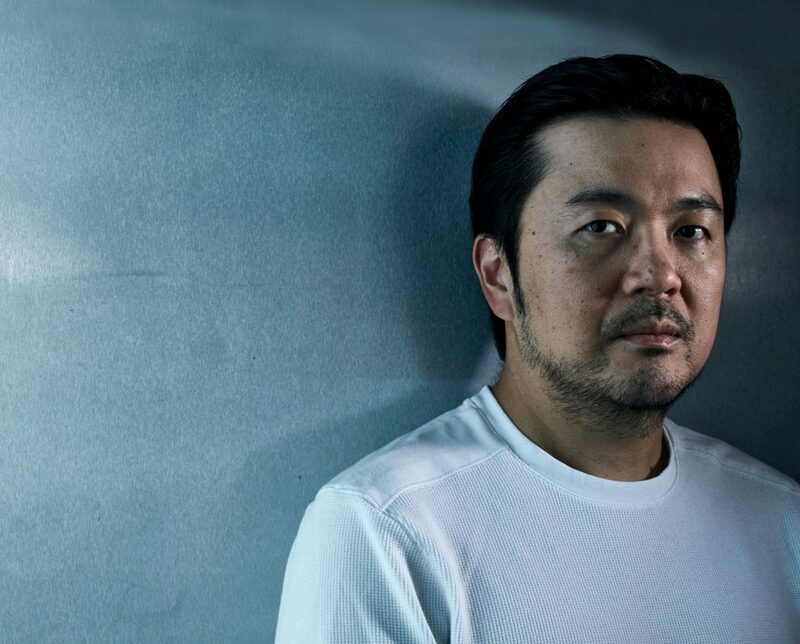 Having worked on various projects throughout the years, from three instalments of the Fast and Furious series to the second season of True Detective, veteran Taiwanese American director, Justin Lin, was a fitting candidate to oversee the latest instalment of Star Trek. eniGma’s Mahmoud Al Badry got a chance to speak to Lin about the new movie, his Star Trek fandom, and what it was like to work with the movie’s star-studded cast. Astonishingly, Star Trek Beyond is the 13th movie feature of the iconic Star Trek entertainment franchise. The picture, released in cinemas on the 27th of July, is the third sequel to the alternately re-launched 2009 movie series. Featuring an established cast that has Chris Pine, Zachary Quinto, and Zoe Saldana reprising their roles, director Lin was in many ways the new kid on the block. With his vast experience and deep love for the franchise, though, it wasn’t hard to see Lin approach the challenge with the vigour and enthusiasm that will likely propel the movie to become one of the summer’s biggest blockbusters. 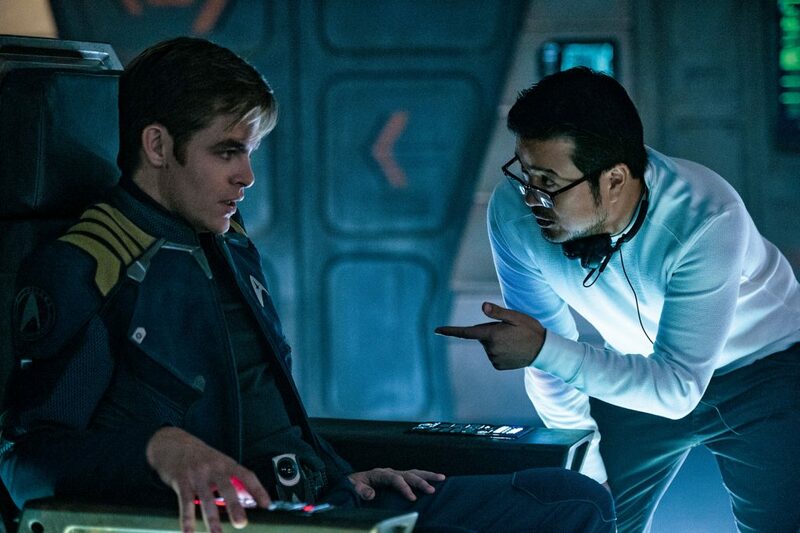 What do you hope the audience will get from Star Trek Beyond? At its core, anybody who has been a Star Trek fan, or non-fan, can engage with the essence of what made the show great, which is a sense of exploration – a pushing forward, while at the same time, allowing us to examine ourselves as a society of human beings in the process. Sometimes you have to deconstruct things that you like. This is a great franchise, and it’s been around for 50 years; it’s actually alive in different mediums nowadays. I remember getting together with (writers) Simon Pegg and Doug Jung, and agreeing not to rest on what’s been successful, what’s worked. I think we used the DNA of what we love, but really pushed forward as well. When you deconstruct ideas, it can be a little bit scary, and I think that’s what Star Trek is about at the end of the day: going out there, really exploring, and hopefully reaffirming why it’s been around for fifty years, and why it’s been so well loved. What was your initial reaction when you first heard that you would be directing it? I felt a lot of responsibility, I think not only to the fans of the franchise, but also just to myself. This whole detour in my career has been amazing, but it definitely was nothing strategic in terms of career planning or even business. It had to kind of come from the heart, I think; and to be honest, to be that vulnerable is a little bit scary. Were you a Star Trek fan growing up? Yeah, it was my time with my dad and with my family. My parents had a little fish and chips restaurant and it was very unconventional – they closed at nine and they got home at 10, so we had dinner at 10, and my brother and I tried to hang out with them until 11 to watch Star Trek. From when I was eight years old to when I left for college when I was 18, that was our family time, and also at the same time, because the show was only on for three years, my engagement with it also kind of corresponds with my growth as a human being. For example, the idea of reruns – I didn’t understand what that was until the first time I saw the show repeated and I realized, ‘oh, they’re not actually making these every day!’ All the way up to my adulthood, and even when I went off to college, there was always a sense of comfort to be able to watch and appreciate the show on a different level. Because this year is the franchise’s 50th anniversary, are there some ways that you’ve honoured that within the film? Having Doug and Simon as collaborators on this was wonderful. They just have so much passion and love for the franchise, and I think our levels and angles of engagement are all very different. I love Star Trek and it’s a part of me, but to be honest, I couldn’t quote every line to you. I don’t know every episode title, but Simon does! And Doug’s engagement was also very pure, so we couldn’t help ourselves. As we were building it, I think there were levels of acknowledgment that were inherent to a lot of these ideas, but at the same time, we also had a lot of fun. At the end of the day, when I look back now, even in the crazy schedule, I really appreciated having Doug and Simon there with me, working; and so I feel like when you watch the film, there are going to be a lot of nods. A lot of it is going to be quite conscious, but to be honest, a lot of it is just inherent because it’s something that’s a part of all of us. What was the thinking behind splitting the characters up into unlikely pairings? Well I think it’s been kind of years and years in the making in my head and probably Simon and Doug’s heads. Growing up watching the show, it was shot in a very traditional TV structure, but I realize how much fan fiction was going on in our heads, organically, so the idea of wanting to see maybe Spock and McCoy be together, going through some gruesome experience without Kirk, that was very exciting. In my head, I knew that Kirk and Chekhov probably talked outside the bridge, but I rarely saw that, so it was kind of nice to be able to see them alone. It was great to be able to have that conversation as we were developing it. It really felt like years and years of fan fiction has been living in our heads. What was it like to be the new director on set with a cast that was already established? I was very fortunate. I felt like once we were able to figure out the film on the page, it was about respecting the cast and also earning their trust in working together through adjustment. They know the characters so well – they’ve lived with this for two movies, so it was a bit of dance. For me, it was just about making adjustments and respecting the fact that they’ve built these characters. It was my job to make sure we calibrated because I was about to challenge them as actors and their characters because we devised all these new obstacles that they were going to have to go through. What did Idris Elba bring to his role as a villain? Idris was just fearless. There were a lot of firsts for me on this film, and the thing that’s amazing about Idris is that he comes ready and prepared, but when you call action to cut, you actually are so into his performance, that you have no idea what he’s going to do next. That’s just a special skill. The other thing about him is that I’ve never seen anybody work as hard. There’ll be shots where he’s off screen and you just watch him, he’s really in the moment and really giving his all. I felt like it was very much a gift to have him join us on this journey, as the antagonist has to have a very valid philosophy. Usually there’s not a lot of real estate for the character, so he had to come in and own not only that space, but also the presence throughout the film. I felt like he came in and did exactly that. How was it like when you finally walked on set as the director, seeing the Enterprise and all the things you were familiar with as a kid? I honestly didn’t even realize it. I know people talk about pinching yourself and I didn’t literally pinch myself, but I had moments when even just going to visit the set before we were shooting and just getting goose bumps. It really took me back to my living room as a child, and as a teenager in my dorm room in college – there’s always these emotional temporal-sensory kind of connections. It’s not even just in the sets, because the sets are more than “the set” – it’s the people that make it, and the people that are in it. It was definitely something I’ve never experienced in my career. Can you sum up what it was like making the whole thing? I would say that it was by far the greatest detour of my career. It was an honour to be able to be a part of it, and I really appreciate the passion and love that the cast and crew had for this franchise; to be a part of it, contributing to the legacy of Trek was amazing. It was not anything I sought out, and I am forever grateful for the studio’s call.